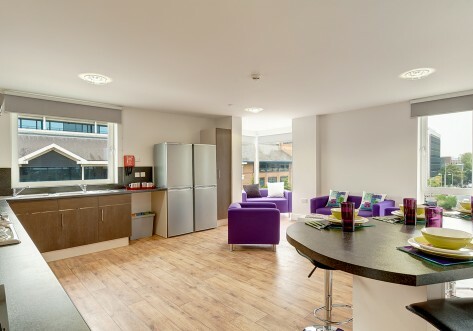 Felda House is a stylish and contemporary student accommodation located in the heart of Wembley, featuring a diverse range of room types to cater to all needs and budgets. 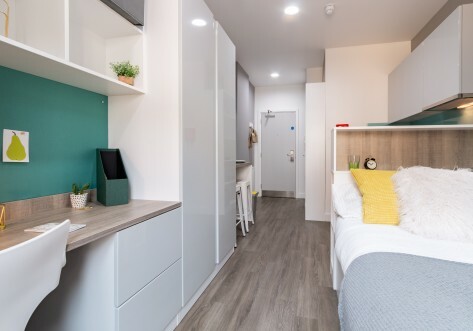 Whether you are looking for more privacy and space in one of our studios or would prefer to live with friends in the popular cluster flats, Felda House is ideal for both undergraduate and postgraduate students alike. Felda House provides everything so that you can make the most of your student experience. 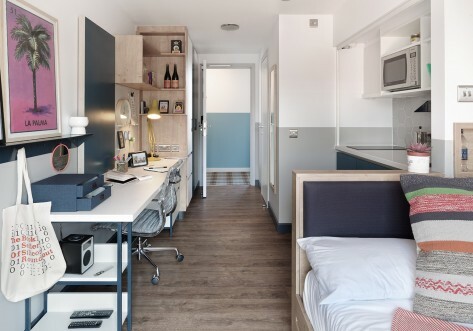 With excellent communal spaces to both study and socialise, you’ll soon settle into life at Felda House and enjoy discovering student life in London. Just a few minutes’ walk away you’ll find the iconic Wembley Stadium, a designer outlet which offers many shops, restaurants and also houses the local cinema, as well as Wembley Park underground station allowing easy access to the vibrancy of Central London. 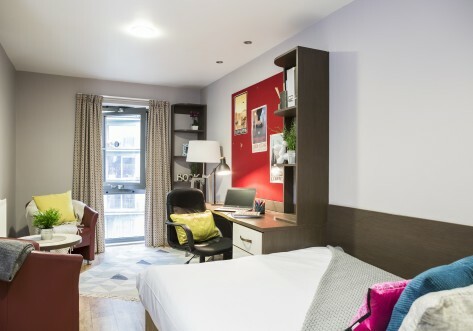 This accommodation would be ideal if you’re studying at Middlesex University, Westminster University, UCFB as well as West London University. With excellent transport links into Central London Felda House also provides the ideal accommodation for students studying in Central London. Located between 6th and 9th floor. Room sizes can vary from to 14m2. Located on 11th floor and above. Rooms can vary from to 14m2. Located between lower ground level and 12th floor. Room sizes can vary from 21m2 to Totally self contained studio with everything you need, adapted for students with limited mobility. Located on the 16th and 17th floors. Located on the top floor (18th).